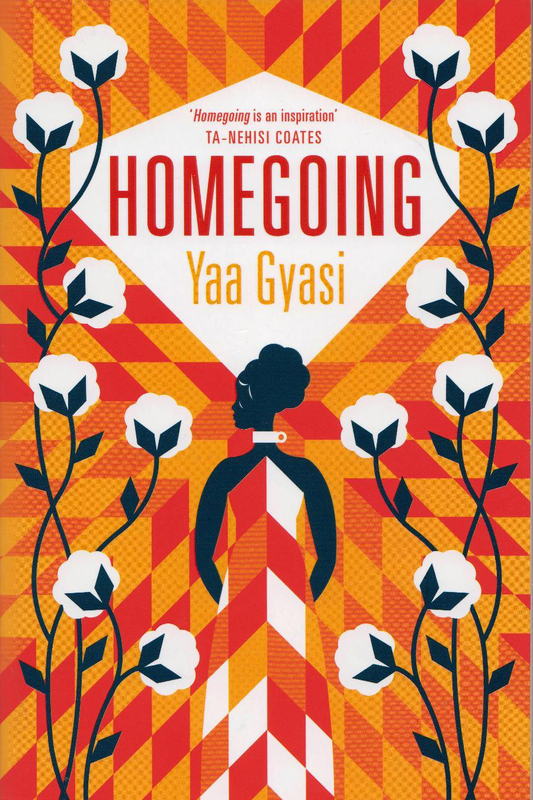 Homegoing, by Yaa Gyasi, is the featured book for discussion in New Palestine. The novel was selected in 2016 for the National Book Foundation's "5 under 35" award, the National Book Critics Circle's John Leonard Award for best first book, and was longlisted for the Dylan Thomas Prize in 2017. It received the Hemingway Foundation/PEN Award for 2017. Summary: Two half-sisters, Effia and Esi, are born into different villages in eighteenth-century Ghana. Effia is married off to an Englishman and lives in comfort in the palatial rooms of Cape Coast Castle. Unbeknownst to Effia, her sister, Esi, is imprisoned beneath her in the castle's dungeons, sold with thousands of others into the Gold Coast's booming slave trade, and shipped off to America, where her children and grandchildren will be raised in slavery. One thread of Homegoing follows Effia's descendants through centuries of warfare in Ghana, as the Fante and Asante nations wrestle with the slave trade and British colonization. The other thread follows Esi and her children into America. From the plantations of the South to the Civil War and the Great Migration, from the coal mines of Pratt City, Alabama, to the jazz clubs and dope houses of twentieth-century Harlem, right up through the present day, Homegoing makes history visceral, and captures, with singular and stunning immediacy, how the memory of captivity came to be inscribed in the soul of a nation.